There are just a few that I wrote down. an open platform definition (i.e. published APIs) addressing all levels from generic ‘EHR’ and demographic information, to high-level business functions like ‘shared medication list’ and ‘patient pathway’. there needs to be a forum where an agreed roadmap is progressively developed (a constant work in progress) that pencils in these different services. such a roadmap needs to try to ensure coherence between the services in terms of data and key semantics, otherwise, it is not a platform, it is just a lot of disconnected services; achieving coherence means adopting some generic standards for things like health data, clinical content modelling, guideline representation, process concepts on so on. however, we might end up with not just one platform, but a small number of good quality platforms. We should have no problem with this if it becomes necessary. A more dangerous vision is to try to force incommensurable concepts into a single platform which will never properly work. I can easily imagine a different kind of platform for US hospital computing versus European community health computing. Nick Booth mentioned the Professional Record Standards Body (UK), and said that this kind of activity was the kind of route for engagement of professionals in the domain to engage in clinical computing on their own terms (i.e. not being forced to speak IT languages or be a passive resource for IT ‘requirements gathering’). I agree with this. My view (of course) is that we need to use tooling and concepts such as we have developed for archetyping, terminology subsetting and model management in openEHR, now the focus of the CIMI (other key references – the MDHT OHT project and of course Stan Huff’s brilliant clinical modelling ecosystem at InterMountain Health), to actually provide the technical means of those clinicians to state their requirements. What can help from here? in my view it might need to pay more attention to connecting services to a coherent underlying information definitions and semantic concepts – a ‘platform’ is not services alone – it is data and knowledge resources as well. We need to find ways of connecting clinical domain experts to this technology – that is setting up fora like the PRSB mentioned above and similar kinds of things in other countries. This is mainly a question of organising people rather than the technology. It’s being done differently in different countries. Thanks to Ken Rubin for the invitation to come to the summit. My feeling from this (and hanging around for two more days of OMG) is that the wider e-health community is starting to crystallise a common mental picture for a platform-based future. 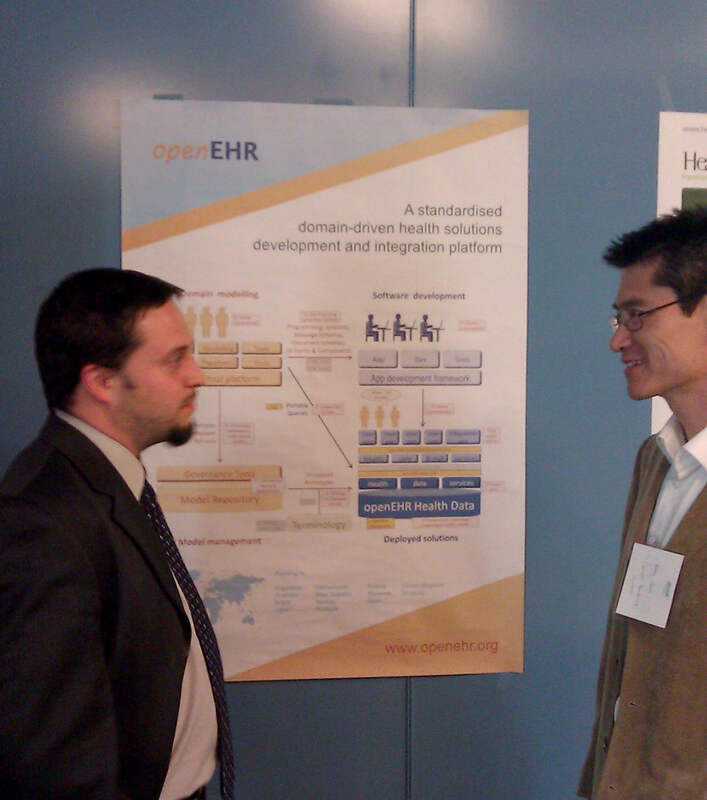 This entry was posted in Health Informatics, openehr. Bookmark the permalink.